We got up bright and early on our third day in New York, as we had a tour booked. As I was getting ready, my partner headed downstairs to get us some cream cheese bagels from Bodega cafe. 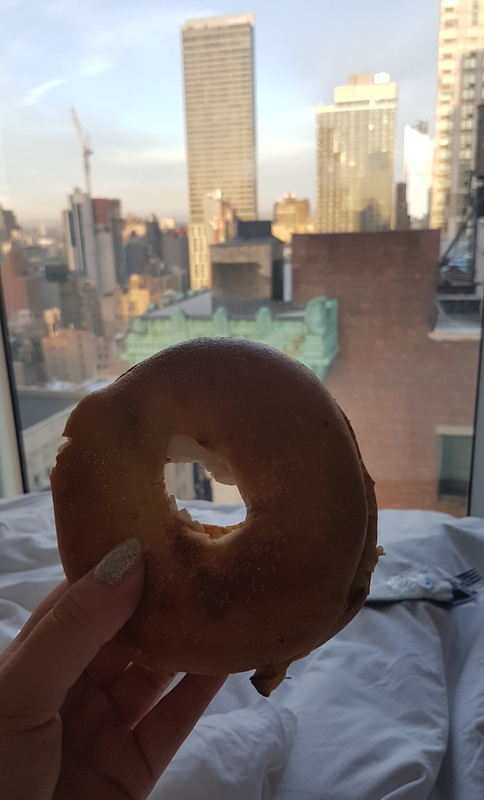 Bagels in bed with a view. 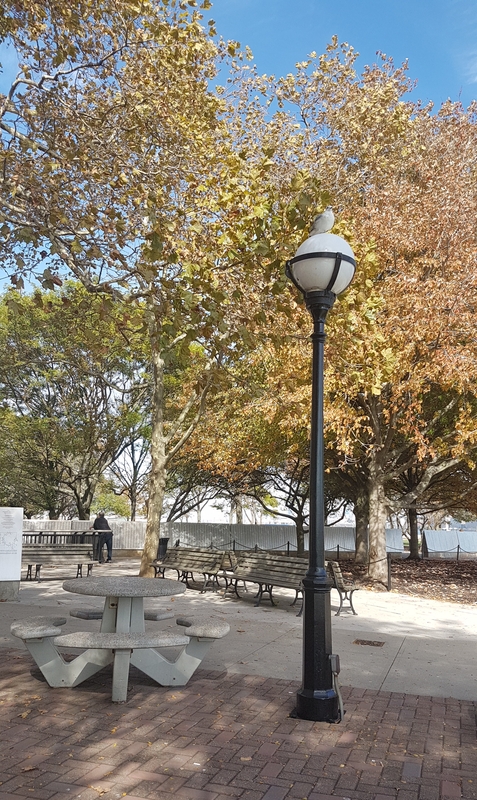 Once we’d eaten and was ready, we booked an Uber to take us to Battery Park in Downtown Manhattan. 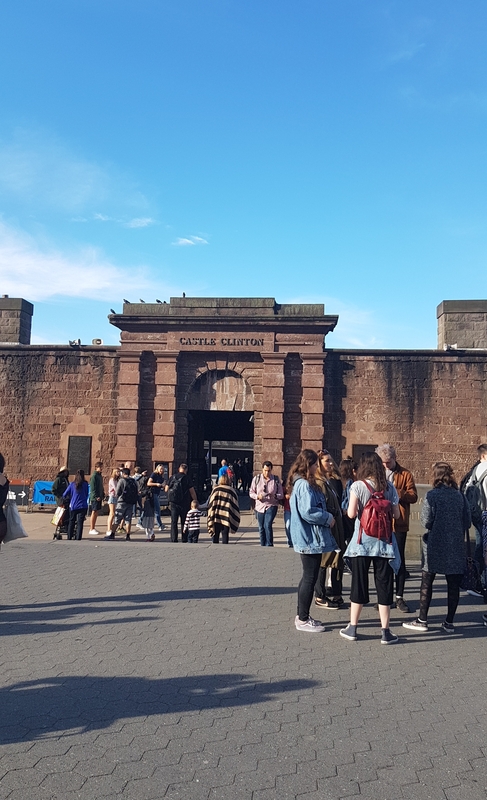 We met up with our tour guide and group outside Castle Clinton, which is in Battery Park. Castle Clinton was originally built as a fortress to protect New York harbour against British forces. Later on it became America’s first immigration station before Ellis Island (which I’ll talk about later in this post). It’s also been used as an aquarium, theatre and is currently a national monument. 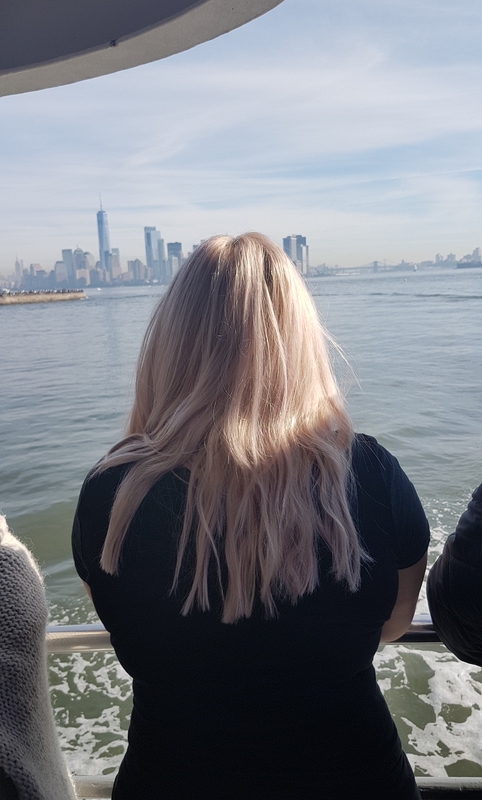 After learning a bit about Battery Park and Castle Clinton, we went through security checks and got on a boat to Liberty Island. 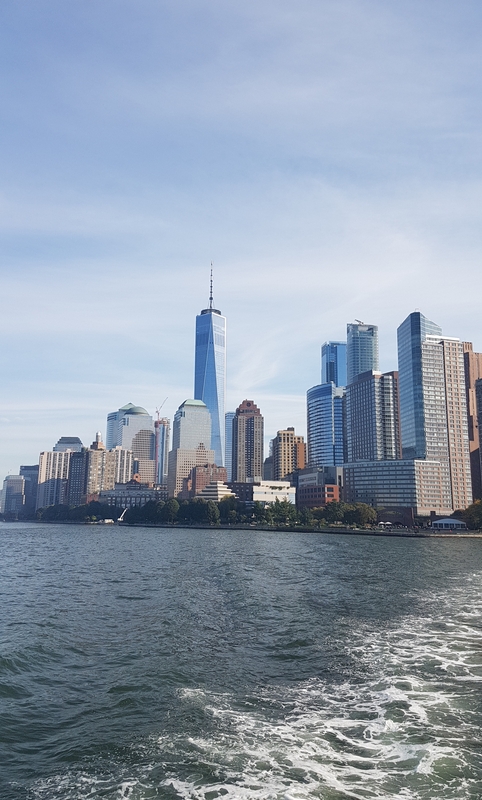 View of the One World Trade Center building and the Manhattan skyline from the boat. 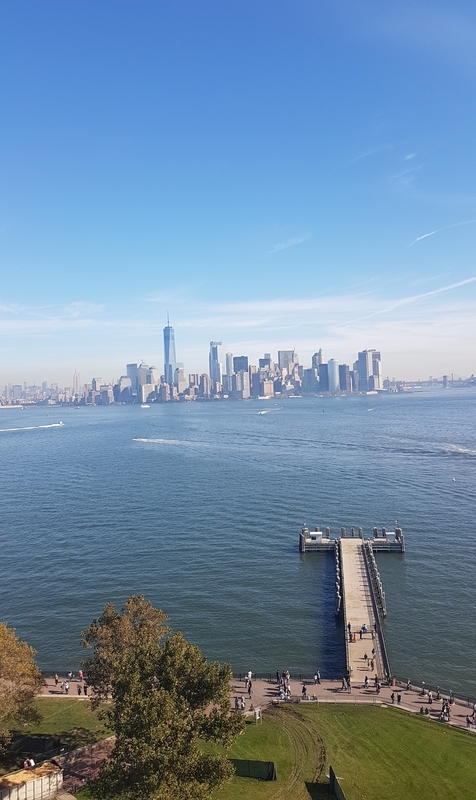 View of the Statue of Liberty and the Manhattan skyline. 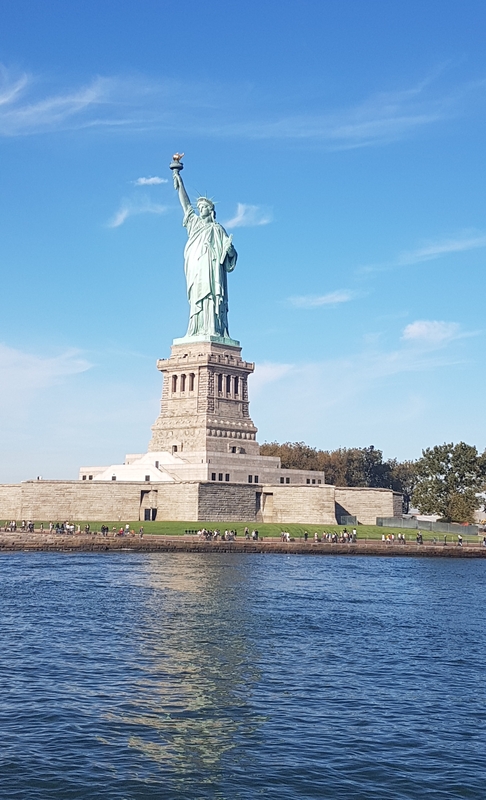 After a short boat ride with amazing views, we arrived at Liberty Island. We entered the building where our tour guide told us the history of the Statue of Liberty. 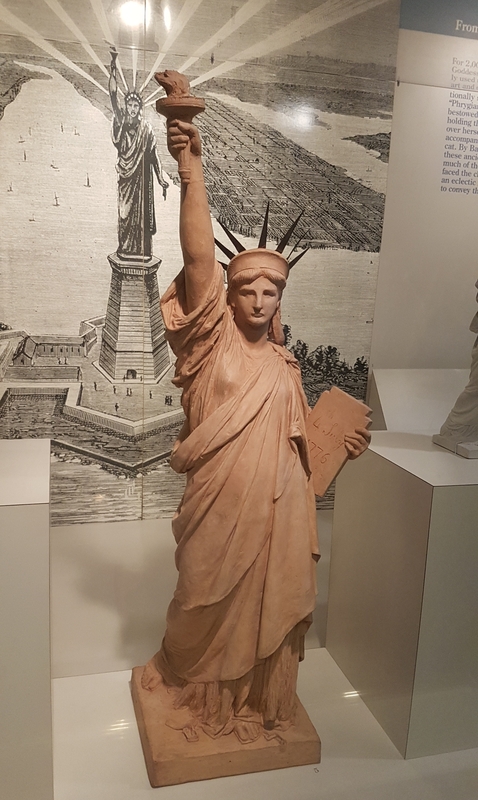 The statue’s full name is Liberty Enlightening the World and it was a gift from France to America in 1886. 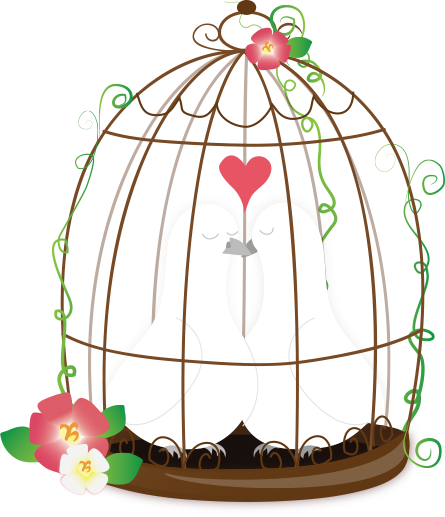 It was given as a gift to celebrate the union between the two countries and their victory in the American Revolution. 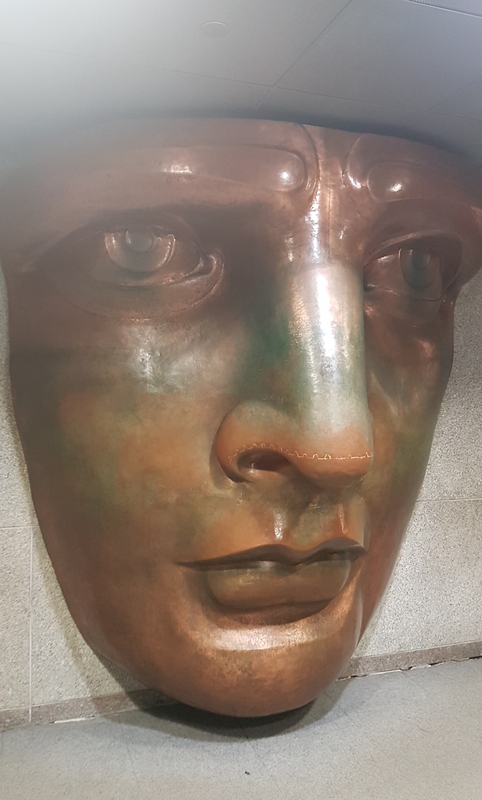 It was also hoped the statue would inspire the French people to fight for their own democracy, as they was under the repressive monarchy of Napolean III. 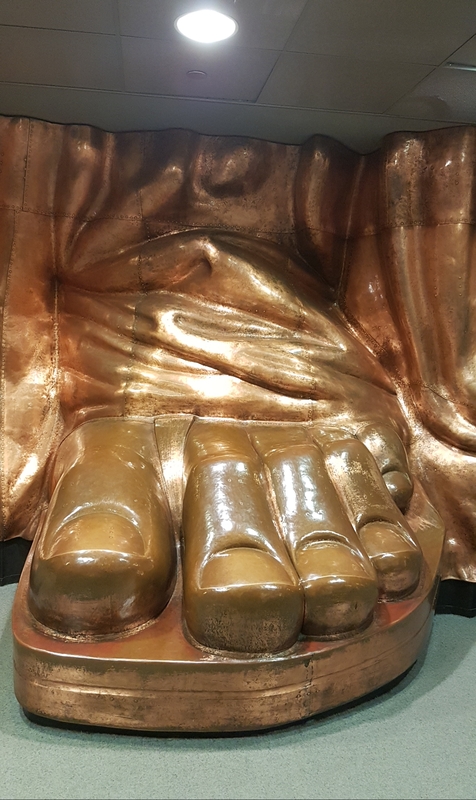 Full sized models of the statue’s face and feet in the museum. 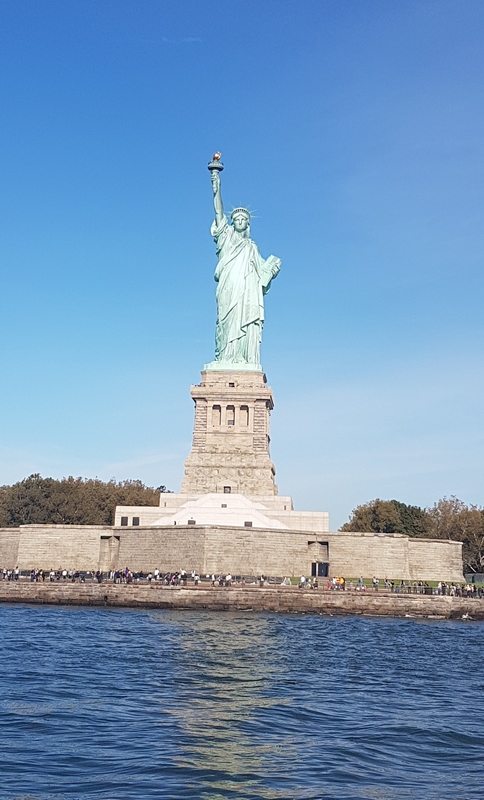 A couple of other facts are that the Statue of Liberty is made from copper, which has oxidised from brown to green and it’s a hollow statue on the inside. 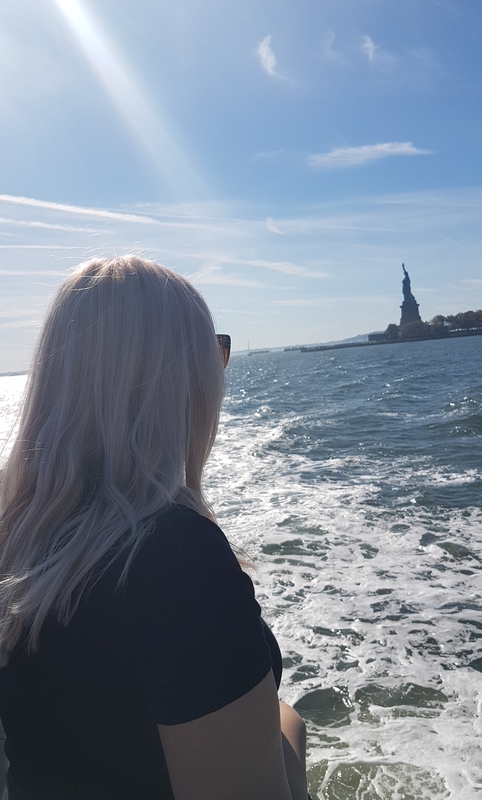 I would definitely recommend doing a tour of the statue and Ellis Island, as I learnt an awful lot and it was inspiring to hear. After the museum, we climbed the stairs to the pedestal area of the statue. And then it was time to hop back on the boat. Saying goodbye to Lady Liberty. 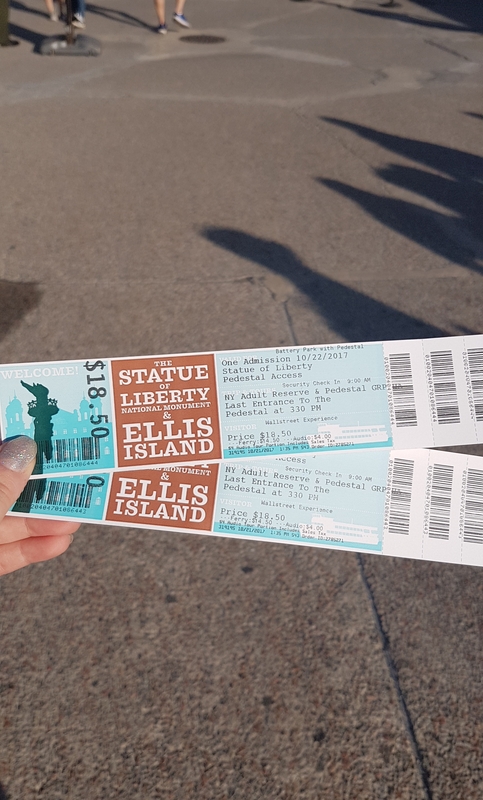 The second part of our tour took us to Ellis Island. 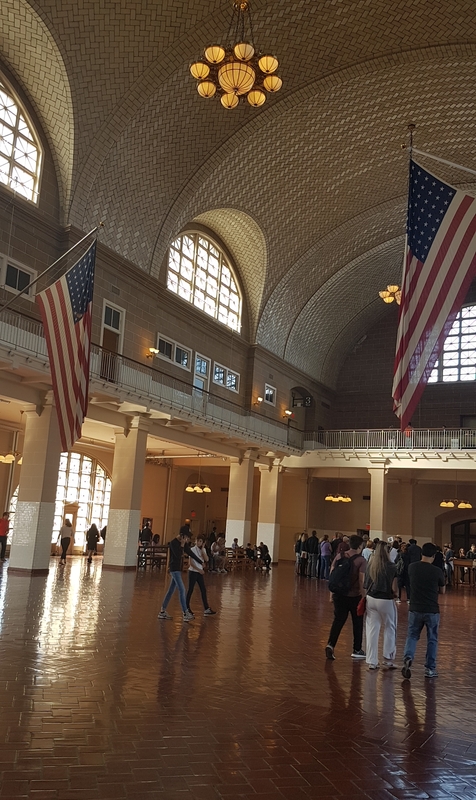 Ellis Island is a historical site that opened in 1892 as an immigration station. For sixty years immigrants arriving from other countries had to be processed and medically checked on the island. 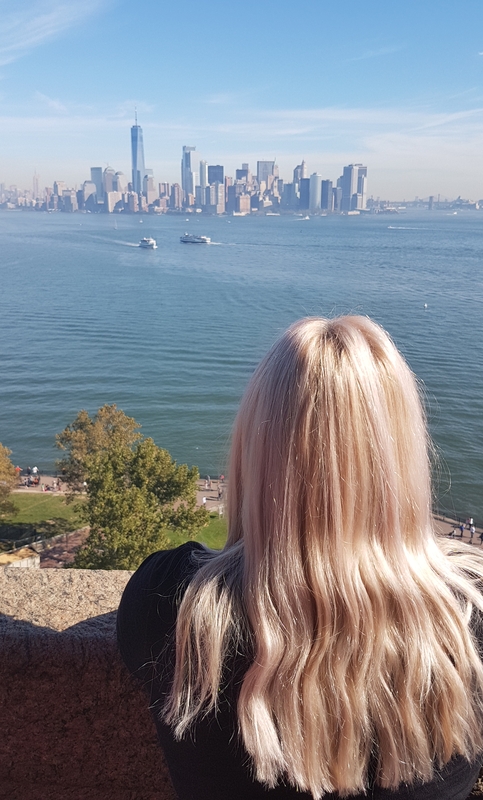 It’s thought that 40 per cent of U.S. citizens can trace at least one of their ancestors to Ellis Island. The Immigration Station, which would have looked a lot more chaotic, with people arriving from all over the world. It was really interesting and moving to hear the stories of those hoping for a new start in America and the sad stories of families separated and of those who failed medical tests and were sent back home. 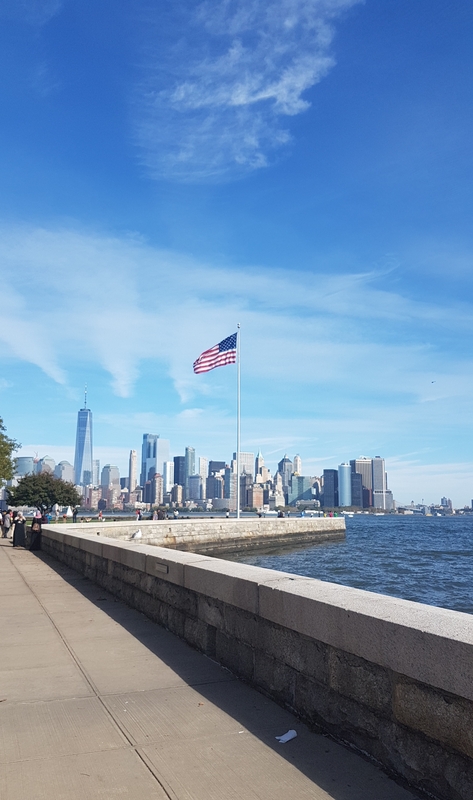 Once our tour ended, we decided to stay at Ellis Island a bit longer. 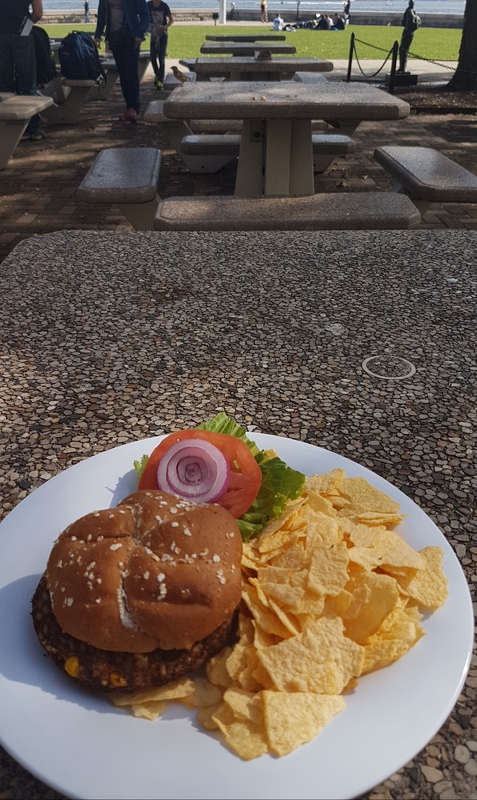 We bought lunch from the on-site restaurant and ate outside in the sunshine. 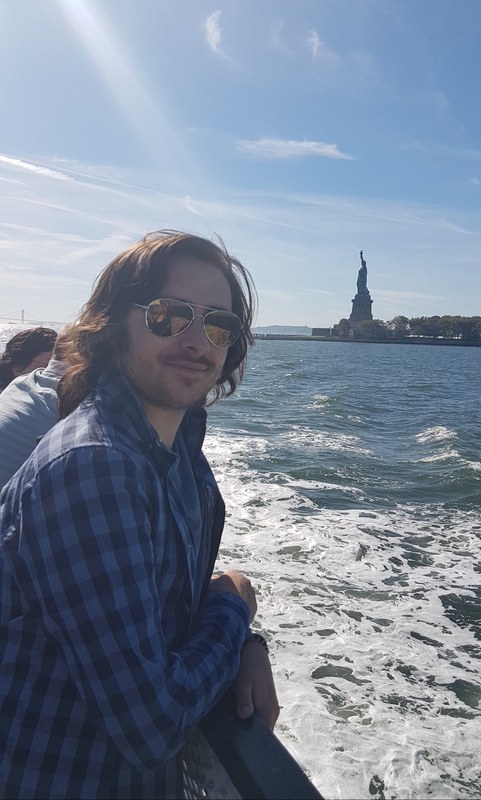 I dressed up as Lady Liberty, with the statue itself behind me. 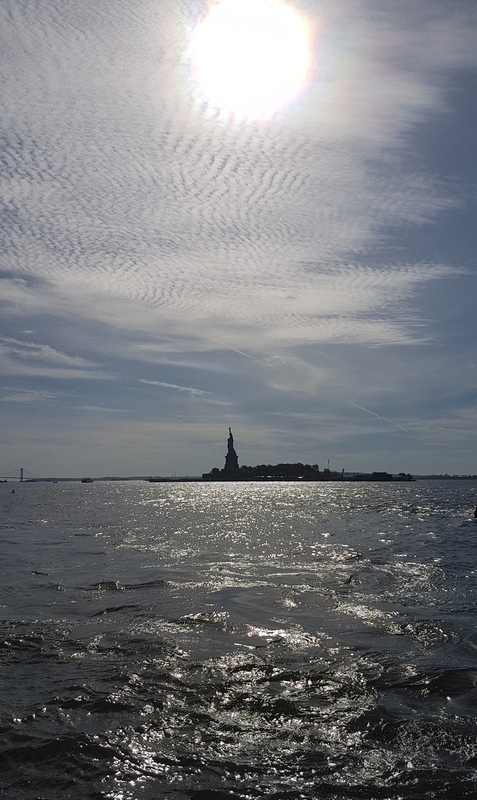 View of the Statue of Liberty from Ellis Island. And of the New York skyline. After lunch, we took the boat back to Battery Park where we spent some more time soaking up the sun outside. Before heading to see the 9/11 Memorial Pools. 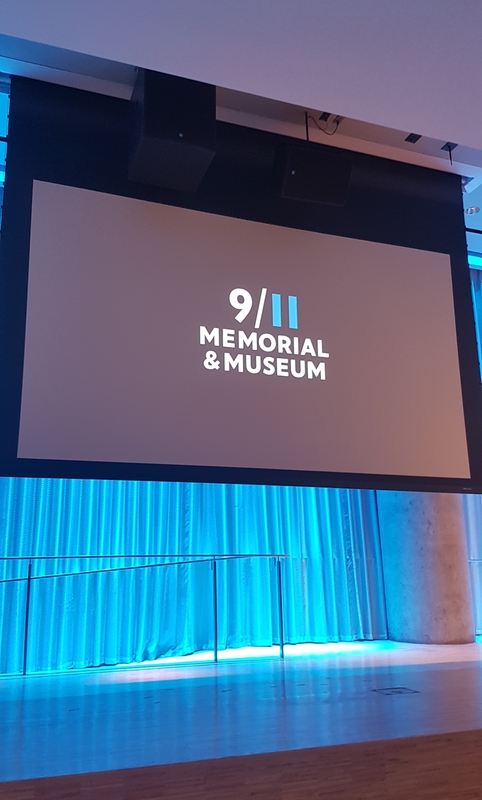 And the 9/11 Memorial Museum. 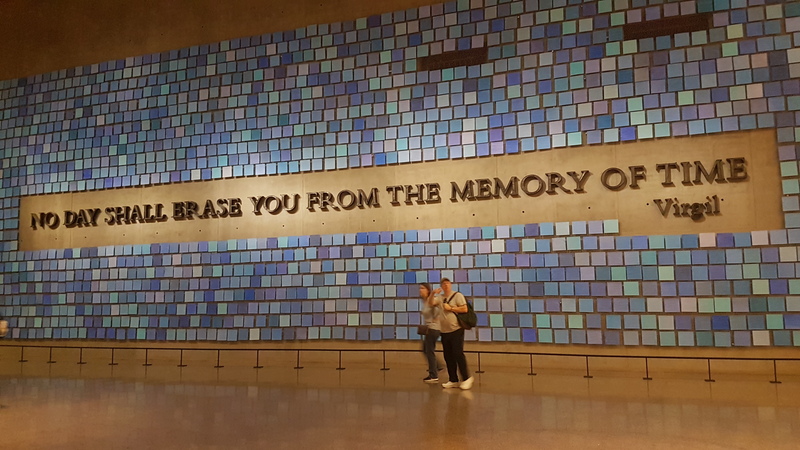 I didn’t take many photos, but the Memorial and Museum were incredibly moving. 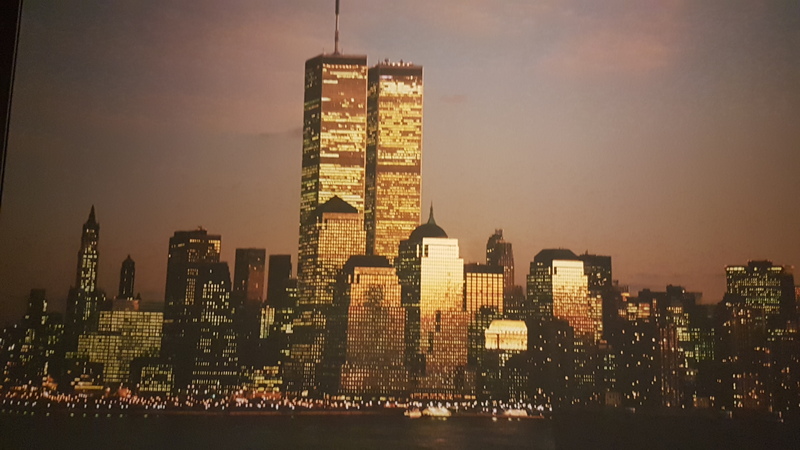 Despite 9/11 being on the news a lot at the time, there was still a lot I didn’t know and learnt from my visit. 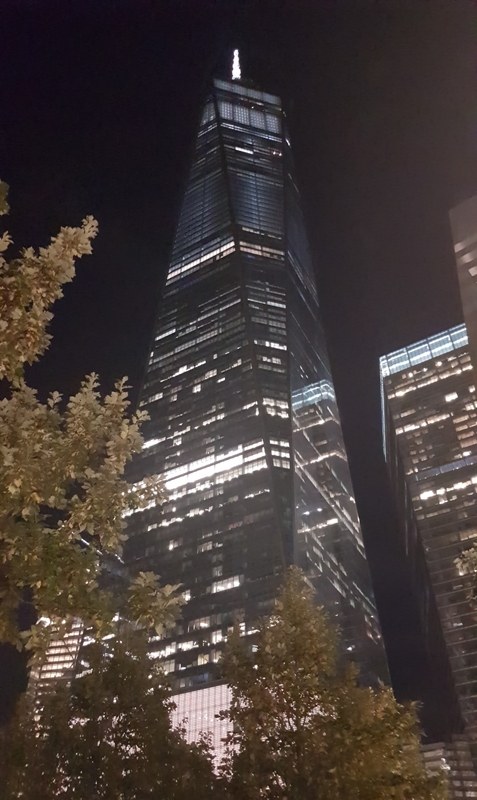 View of the One World Trade Center at night. 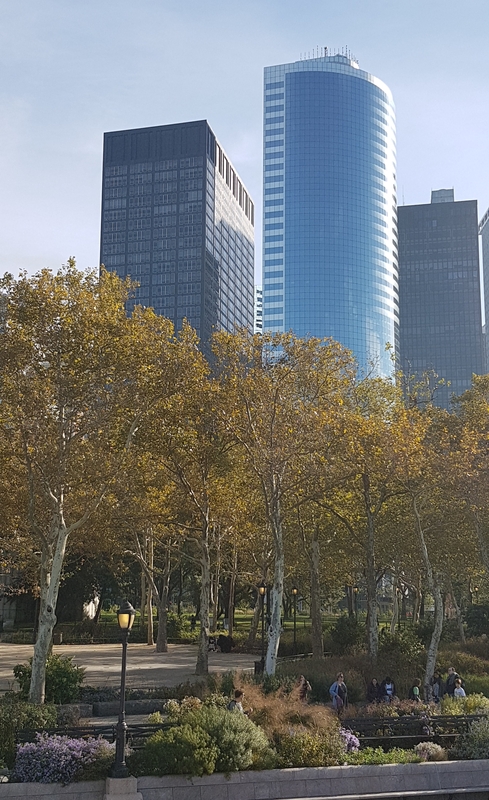 Situated next to the 9/11 Memorial and Museum, it’s the tallest building in America. After the museum, we popped into a few souvenir shops and then headed to The Dead Rabbit bar. The Dead Rabbit was rated as the world’s best bar for two years in a row and has a pub on the ground floor and a 1920’s cocktail Parlor on the second floor. 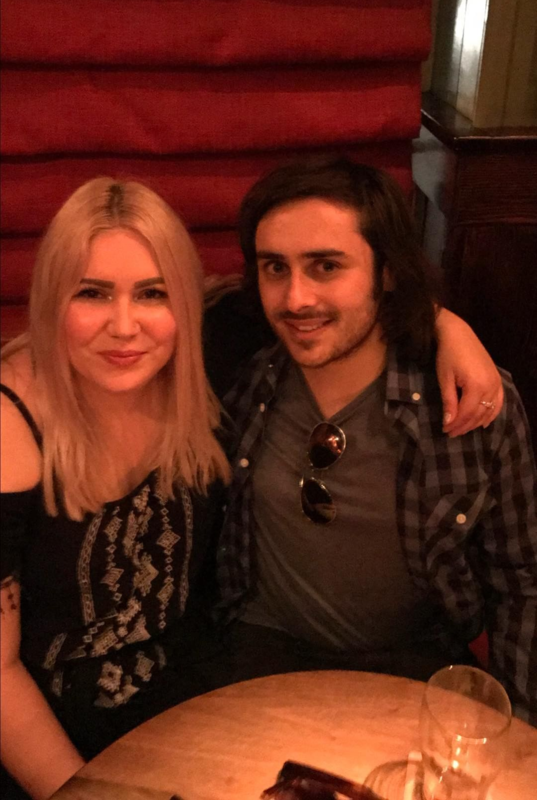 I didn’t get any photos of the elaborate cocktails we drank or the bar, but I got a picture of me and my partner. And one with our very special guest…Katie! Katie is a fellow blogger and friend that I met through WordPress. 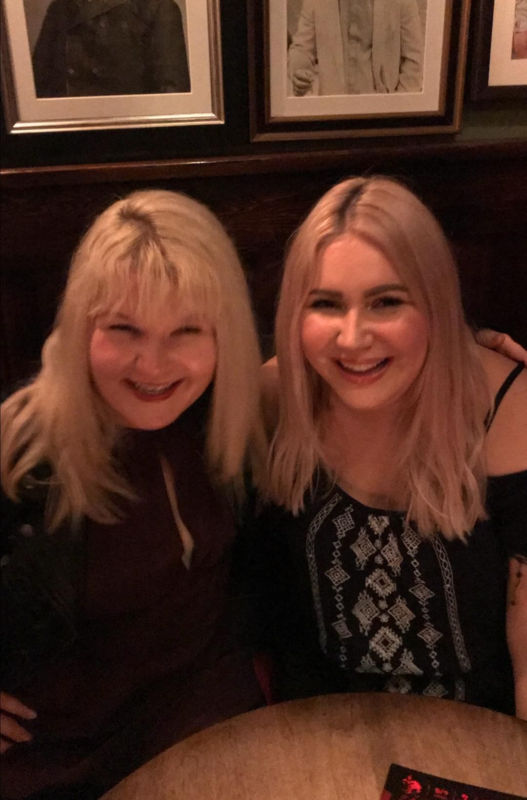 We’d spoken loads online and I knew she had a sweet and amazing personality, so it was great to finally meet in person. We spent hours trying out the unusual cocktails on offer and gossiping, we all had such a fun night! As the bar was closing, we said goodnight to the lovely Katie and headed back to our hotel, ready for day four. 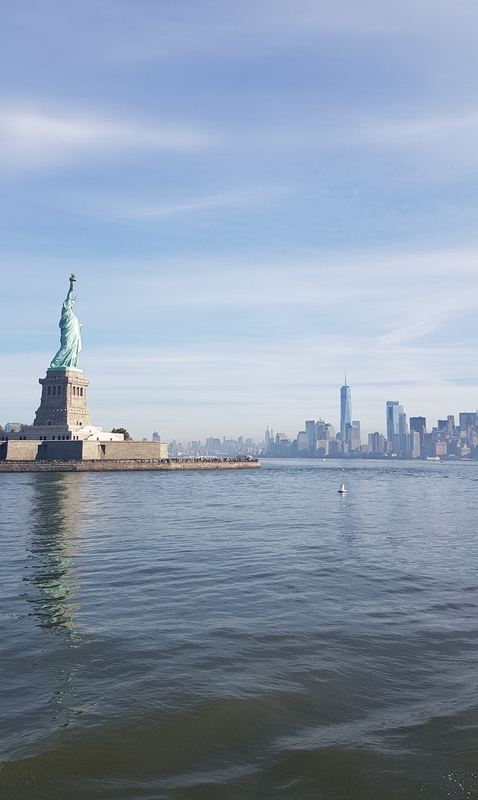 You got to see all the iconic NY sites – so picture perfect. 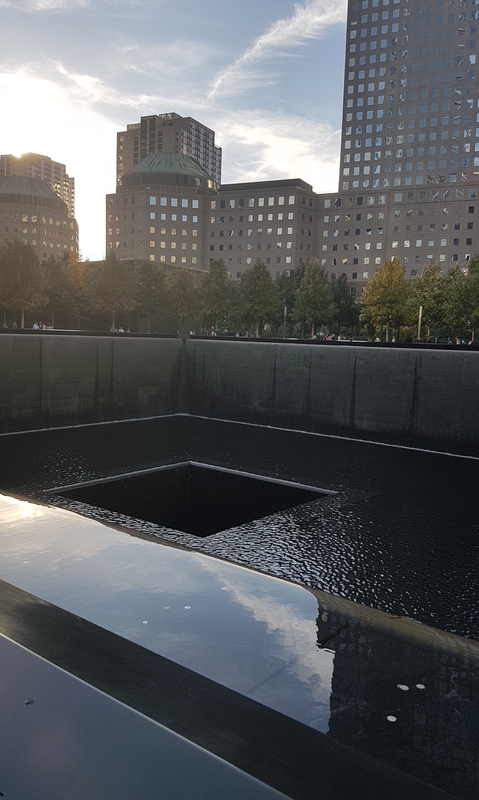 I’ve not been to the 9/11 Memorial but I can imagine it would be so sad to see it close up and firsthand. 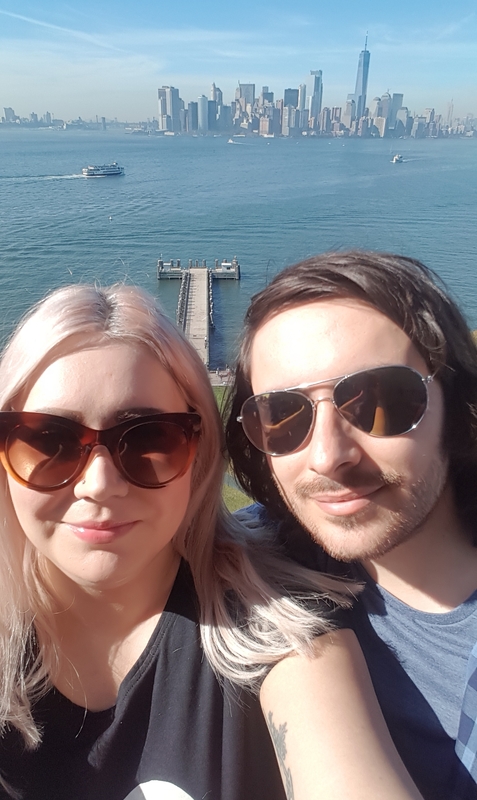 Very neat that you met up with a blogger – isn’t it incredible how blogging has brought people from across the world together, literally? Wow, you did a lot that day! 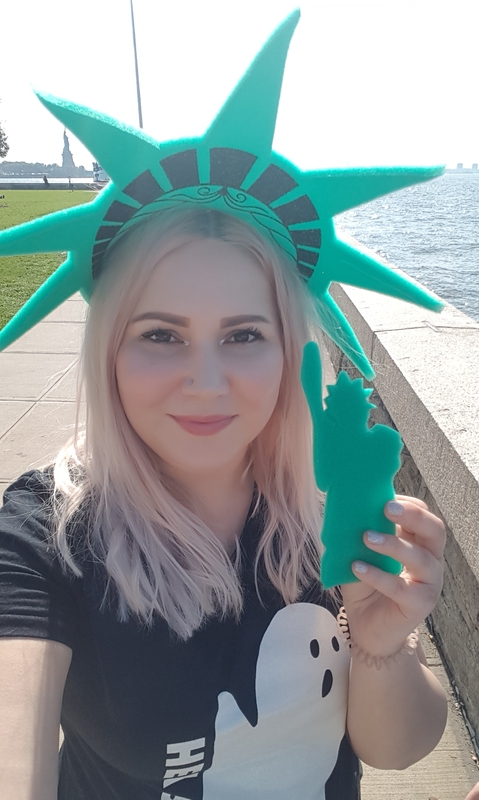 And you look awesome as Lady Liberty! Great to see you’ve been to the 9/11 museum as well. I can imagine it must have been very moving.